I made a card with a little princess and flowers. blossoms of trees and plants everywhere. from Once Upon Time Col.2013. 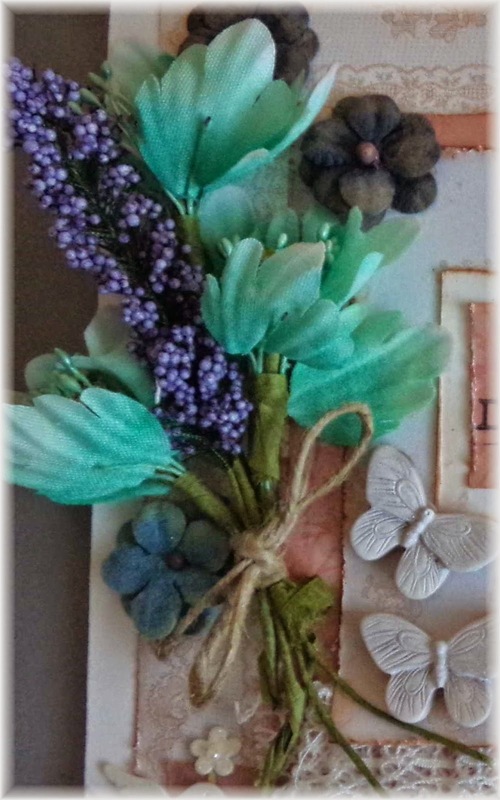 The envelope with hearts and birds are form handmade Stickers. 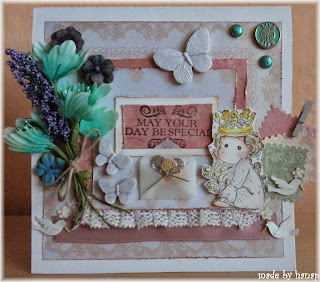 The brads in the right corner are from Bo Bunny col.
Butterflies are from Elegy col.,ScrapBerry´s. I would like to enter my card into these challenges. Wat een mooie kaart heb je gemaakt. Bedankt voor je deelname bij TFM. groetjes Marga. wow, I love it. Great work.